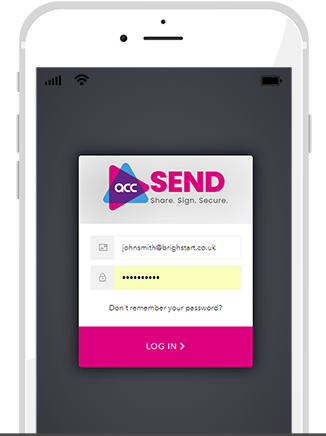 accSEND is our secure messaging tool. Built specifically for accountants, it allows us to securely share information and documents with our clients. accSEND is free for you to use and works on PC, laptop or mobile. To login please click on the button below. When you click on the button a new page will open allowing you to login, this page is secure and your username and password are protected.